Lake District canvas prints. 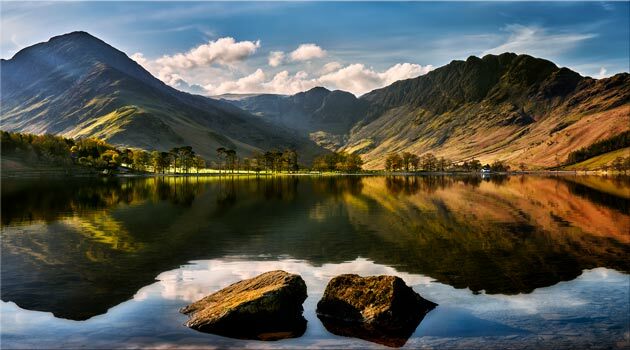 There are high resolution photographs of most the main lakes of Cumbria – Buttermere, Derwent Water, Coniston, Thirlmere, Wast Water, Ullswater, Grasmere and Windermere. Many of the tarns and classic mountains of the Lake District also feature as does the lovely Borrowdale and Langdale Valleys. With single panel Lake District canvases up to 7ft wide and multi-panel canvas prints up to 13ft wide. Canvas wrap prints use high quality materials. With 1.5″ (38mm) gallery style bars made from Kiln dried pine. The print is wrapped around the edges. The print is wrapped around the edges using the reflection method. This is where the edges of the image are copied, reversed and added to the outside of the photograph. The benefit of this is that none of the original image is lost. What you see on the site is what you get. Beautiful Lake District canvases with sizes from 2ft up to epic 7ft wide. Plus huge high resolution panoramic wall art of the Lake District.